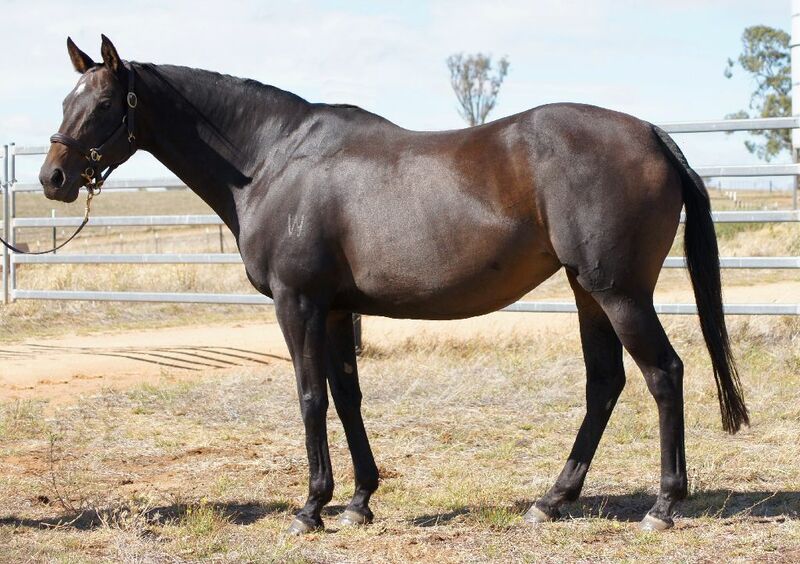 Black-type performed horses including Wales, Rugged Cross, Firehouse Rock, Armada and Golden Spin headline a strong catalogue for the March Thoroughbred Sale at Oaklands Junction. 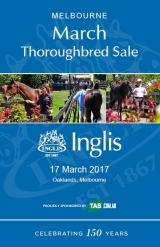 The March Thoroughbred Sale begins at 11am on Friday March 17 at Oaklands Junction in Melbourne. 30 Withdrawn Lots - last withdrawal at 12:07 pm, 17th Mar 2017. Moss and Me (2011.g. by Mossman-Hyperinflation, by Rock of Gibraltar-Money Mover). 2017-03-04 2nd Alexandra PRC Veterinary Clinic Maiden P.
Pah Terie (2014.g. by Show a Heart-Exedra, by Redoute's Choice-Mehitabel). 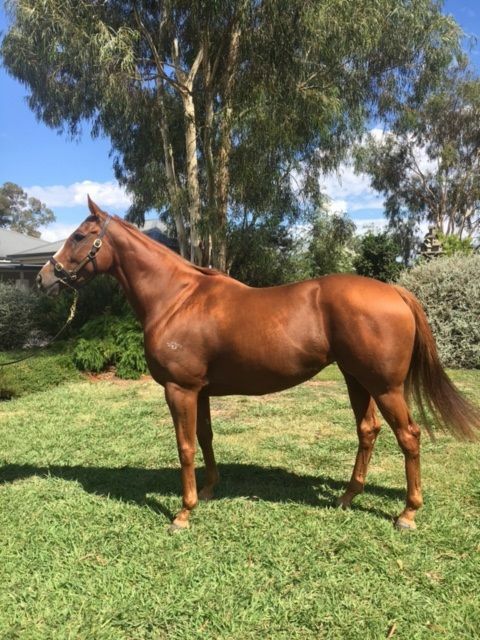 2017-02-25 1st BRC (Doomben) RBWH Foundation 2YO H.
Baggio (2012.g. by Stryker-Denarii, by Dehere-Brightcut). 2017-03-01 3rd BRC (Doomben) Chairmans Club H.
DUNDONNELL (2010.g. by First Defence-Family, by Danzig-Razyana). Teletext (2011.c. by Empire Maker-Conference Call, by Anabaa-Phone West). It and a Bit (2010.g. by Good Journey-Misty Lane, by Last Tycoon-Lady Violet). 2017-02-25 1st SAJC (Morphettville) B Kearney Vietnam Veteran H.
2017-03-04 1st SAJC (Morphetteville) Hughes Chauffeured Limos H.
Sea Tryst (2008.g. by Foreplay-Mal de Mer, by Bahamian Bounty-Diamond Anchor). 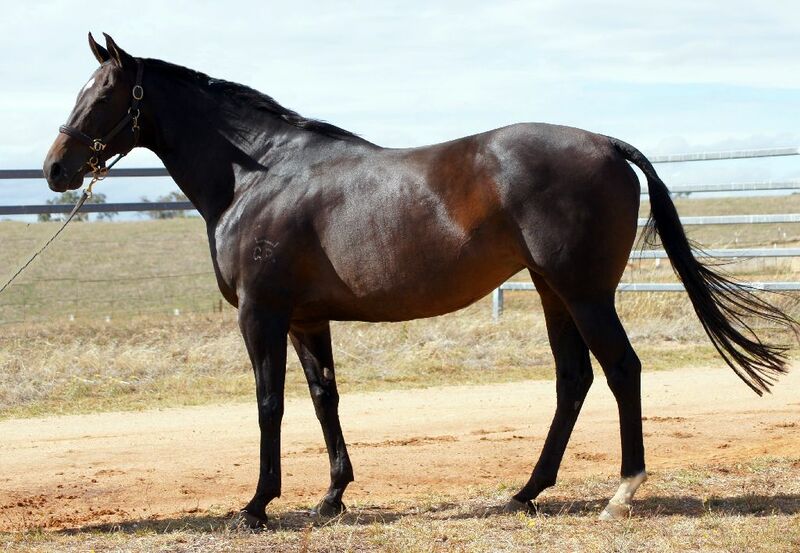 2017-03-11 1st Mingenew TC Aglime of Australia H.
2017-03-09 3rd Muswellbrook RC Pierro at Coolmore H.
SECOND THOUGHT (2014.c. by Kodiac-Bobby Jane, by Diktat-Twilight Sonnet). Red is the Rose (2013.f. by Fastnet Rock-River Serenade, by Hurricane Sky-Ride the Rapids). 2017-02-22 1st MRC (Sandown) Elaren Security Services Maiden P.
King Joy (2008.g. by Kempinsky-Oh Joy, by Ark Regal-Joyeaux). 2017-03-04 1st Bairnsdale RC Four'n Twenty H.
Royal Planet (2013.f. by Planet Five-Royal Secret, by Canny Lad-Lady Belvedere). 2017-03-04 1st Geraldton TC Get the Tabtouch Maiden P.
Amongstgoodcompany (2013.f. by Encosta de Lago-Lady Belvedere, by Royal Academy-So Stunning). 2017-03-01 3rd Bunbury TC Zurich Maiden P.
Ignite the Light (2013.g. by Hinchinbrook-Truly Ablaze, by Statue of Liberty-True Believer). 2017-03-01 1st BRC (Doomben) Blokes Day Out Maiden H.
Eminent (2014.c. by Choisir-Briella, by Iglesia-Gold Sheen). 2017-03-11 1st BRC (Doomben) Nothing But Fun! 2YO H.
2017-02-26 1st SCTC (Sunshine Coast) Wimmers Premium Soft Drinks Maiden 2YO H.
Counter Meal (2012.g. by Publishing-Mine Counter, by Zeditave-Hula Mine). 2017-03-13 1st Sponsorship at brc.com.au H.
HANDFAST (2012.g. by Street Cry-Lobola, by Anabaa-Love Dance). Joyfilly (2014.f. by Highly Recommended-When the Cats Away, by Felix the Cat-Miami). 2017-03-15 1st South Waikato RC Retox Sports Bar Maiden S.
Bohemian Lass (2011.f. by Henny Hughes-Music Theatre, by Hawk Wing-Dansanna). 2017-03-05 1st Esperance Bay TC Loffs Feed and Saddlery H.
CASPIAN PRINCE (2009.g. by Dylan Thomas-Crystal Gaze, by Rainbow Quest-Jumilla). Wanted by All (2013.g. by Wanted-Miss Stone, by Rory's Jester-Lovely Actress). 2017-02-18 2nd SAJC (Morphetteville) James Boag's Premium Maiden P.
2017-03-11 2nd SAJC (Morphettville) Projection Graphics Maiden P.
2017-02-25 3rd SAJC (Morphettville) Adelaide Cup Raceday H.
APACHE SPIRIT (2011.g. by Invincible Spirit-Agathe Rare, by Sadler's Wells-Agathe). 2017-03-12 1st HKJC Freesia H.
Above Authority (2013.f. by Authorized-Acatabove, by Catbird-Numerette). 2017-02-19 1st Ballarat TC CE Bartlett Maiden P.
Red Alto (2012.g. 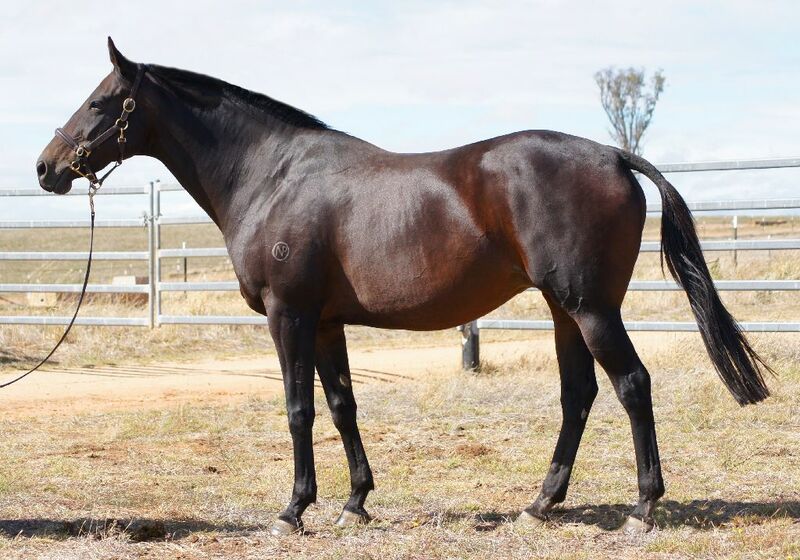 by High Chaparral-La Sangre, by Fastnet Rock-La Veine). 2017-02-17 1st MVRC (Moonee Valley) Quest H.
Runaway Jet (2011.f. by Super Jet-Lady Nediym, by General Nediym-Linley). 2017-02-26 1st Taree-Wingham RC Ironwood Timber Taree P.
Heaven's Gate (2013.g. by Dylan Thomas-Kim Heaven, by Shamardal-Secret Revenue). 2017-03-05 1st Esperance Combined Tyres H.
STALLION HEIRESS (2014.f. by Exchange Rate-Mendocino Beano, by Smart Strike-Trishyde Slew). Rockmeartie (2013.f. by Artie Schiller-Youcanrockme, by Rock of Gibraltar-Eucalyptus). 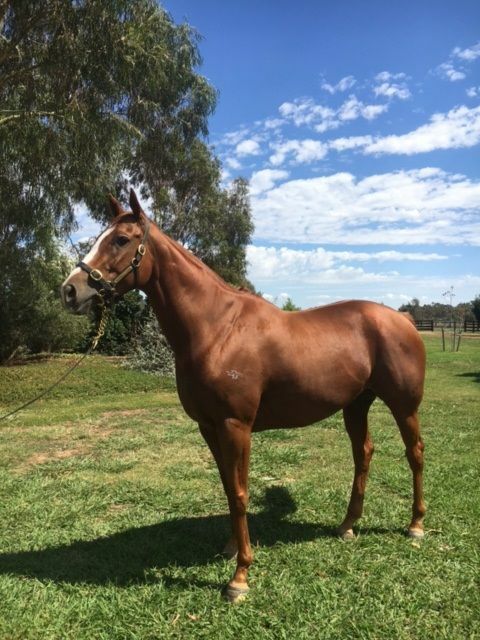 2017-02-27 1st Stawell RC Harvey Norman Maiden P.
RISING ROMANCE (2010.f. by Ekraar-Post Romance, by Postponed-Pretty Wicked). CADILLAC MOUNTAIN (2010.g. by Reset-Picholine, by Dehere-Jewel of Africa). Sensibility (2012.f. by Savabeel-Frivolous, by Black Minnaloushe-Greta Hall). 2017-03-01 2nd Waikato RC Print House Maiden S.
Fox Hall (2013.g. by Foxwedge-Val de Loire, by Montjeu-Greta Hall). 2017-02-25 1st SAJC (Morphettville) James Boag's Premium H.
ROCKET COMMANDER (2011.f. by Court Command-Pinot Royale, by Red Ransom-Slightly Pink). 2017-03-03 3rd Macau Recife H.
Show 'em Sharkie (2013.f. by Sharkbite-Reconcentrate, by Reset-Border Reverie). 2017-02-16 3rd Kangaroo Island RC KI Brewery Maiden P.
Bois Chevalier (2013.g. by Turtle Bowl-Royal Fantasy, by King's Best-Dreams). Exbourne Avenue (2011.g. 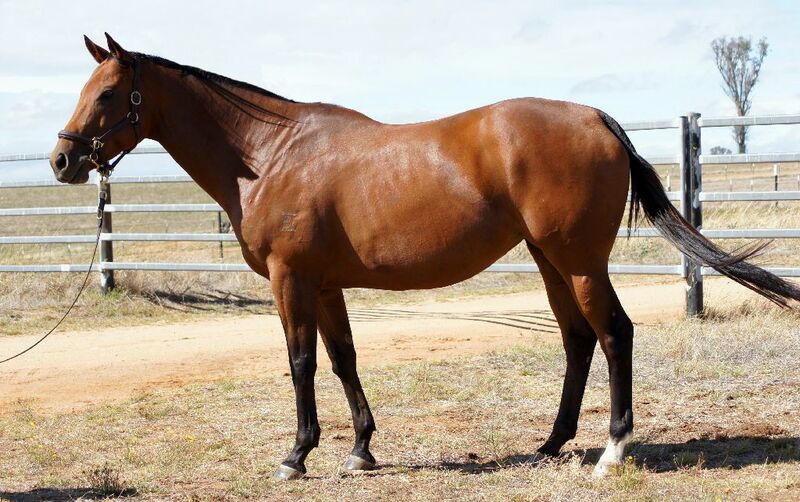 by Exceed and Excel-Northbourne Avenue, by Carnegie-Citirecruit). 2017-02-25 1st Woolamai DRC Stephen Manion Cup Maiden P.
Zarkandar (2007.g. by Azamour-Zarkasha, by Kahyasi-Zarkana). ZARAK (2013.c. by Dubawi-Zarkava, by Zamindar-Zarkasha). Seized (2014.c. by Wanted-Princess Pulse, by King of Kings-Surprize Offer). 2017-02-17 2nd MVRC (Moonee Valley) William Hill 2YO P.
Nothingilikemore (2013.g. 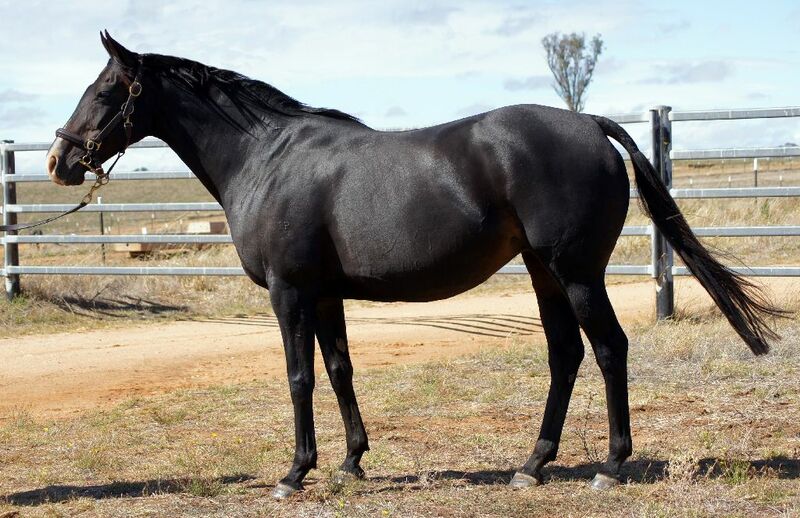 by Husson-Katisam, by Lonhro-Denise's Diamond). 2017-02-19 1st HKJC Tak Ku Ling H.
2017-03-12 1st HKJC Geranium H.
Cut Me Loose (2013.c. by Swiss Ace-Scent of Joy, by Redoute's Choice-Patou). 2017-03-02 1st Hawkes Bay Per Incanto H.
Fantastic Eight (2013.g. by Duporth-Delorosa, by Show a Heart-Maid for Me). 2017-03-05 1st HKJC Guia Hill H.
Best Approach (2014.c. by New Approach-Sant Elena, by Efisio-Argent du Bois). 2017-02-19 2nd Ballarat TC Hygain H.
2017-03-02 2nd Terang RC National Herd Development H.
PRECIOUS MEMORIES (2013.f. by Stratum-Precious Moment, by Charge Forward-St. Therese). Alexandra Demure (2013.f. 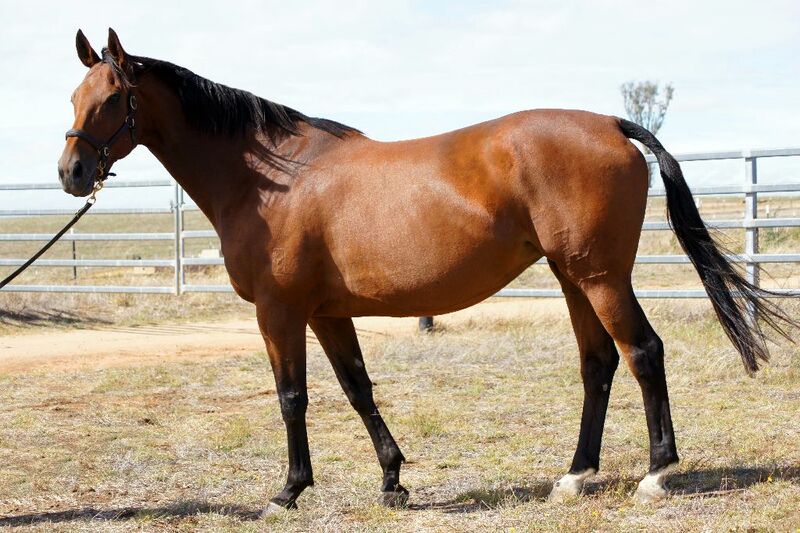 by More Than Ready-Danehill Princess, by Danehill-Gypsy Princess). 2017-03-14 2nd Bendigo JC Bet365 Maiden P.
Egyptian Command (2011.f. by Commands-Zagazig, by Faltaat-Egyptian Queen). 2017-02-25 3rd Yarra Valley RC Fint and Hazard Get Hitched H.
Bassett (2012.g. by Savabeel-Fledgling, by Captain Rio-Fledged). 2017-03-01 1st MRC (Sandown) Ladbrokes Cash in H.
King Christophe (2012.g. by Duke of Marmalade-Mini Brush, by Broad Brush-Minimata). 2017-03-03 1st Dundalk Follow Dundalk Stadium on Twitter H.
2017-02-15 1st ATC (Randwick) Staff Recognition Day Maiden 2YO H.
Rolling Roman (2011.g. by Holy Roman Emperor-Cathie's Lane, by Tertian-Zippast). 2017-02-18 1st GCTC (GCTC) MWM Advisory Charity Race H.
2017-03-04 2nd GCTC (GCTC) Functions 7 Days a Week H.
MISS SUGARS (2014.f. by Harbour Watch-Three Sugars, by Starcraft-Hoh Dear). Samtu (2011.g. by Teofilo-Samdaniya, by Machiavellian-Cloud Castle). 2017-03-07 1st Southwell Betway Stayers H.
2017-03-14 1st Southwell Bet on the Festival With Betway H.
Lay Down the Law (2007.g. by Refuse to Bend-Laelene, by Naturalism-So Like Lae). 2017-03-08 1st ATC (Warwick Farm) TAB H.
Forsyth (2012.g. by Nom du Jeu-Jane Jetson, by Jetball-Agent Jane). 2017-02-18 1st Bendigo JC National Tiles and Carpet Call H.
Sprocket (2013.g. by Nom du Jeu-Jane Jetson, by Jetball-Agent Jane). 2017-02-22 1st Avondale JC Trials at Avondale 28th Feb Maiden S.
ALMIGHTY GIRL (2012.f. by Beneteau-Sybarite, by Last Tycoon-Procrastinate). 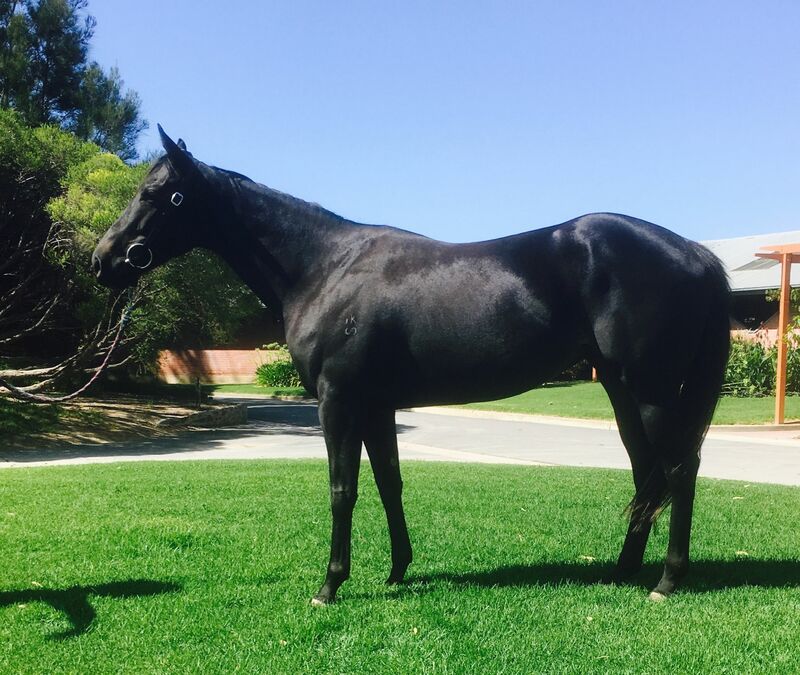 2017-03-05 3rd Canberra RC Camarena H.
Clovelly Park - Deep Thinker (H.K.) (2007.g. 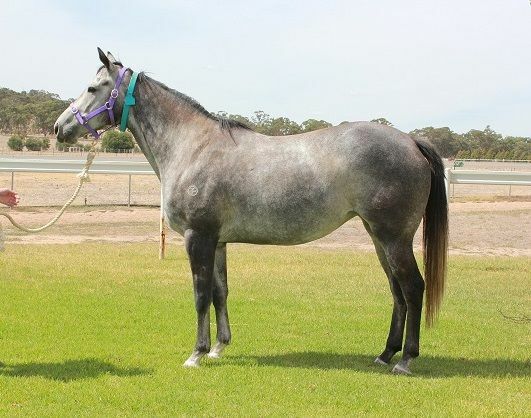 by Thorn Park-Trephina, by Last Tycoon-Procrastinate). Kampala Campari (2013.c. by Querari-Kwitizina, by Captain Al-Laisserfaire). 2017-02-18 1st Kenilworth Racing Its a Rush H.
Rufinson (2012.g. by Nadeem-Nepal, by Quest for Fame-Traipse). 2017-02-16 2nd Stawell RC Classic Bet in App Store Maiden P.
2017-03-02 3rd Terang RC National Herd Development Maiden P.
Stay Ahead - Justice World (Sing.) (2009.g. by Iffraaj-Dazzling Walk, by Zabeel-Boardwalk Angel). 2017-02-26 1st Selangor TC Metro B S.
Solid Rod (2012.g. 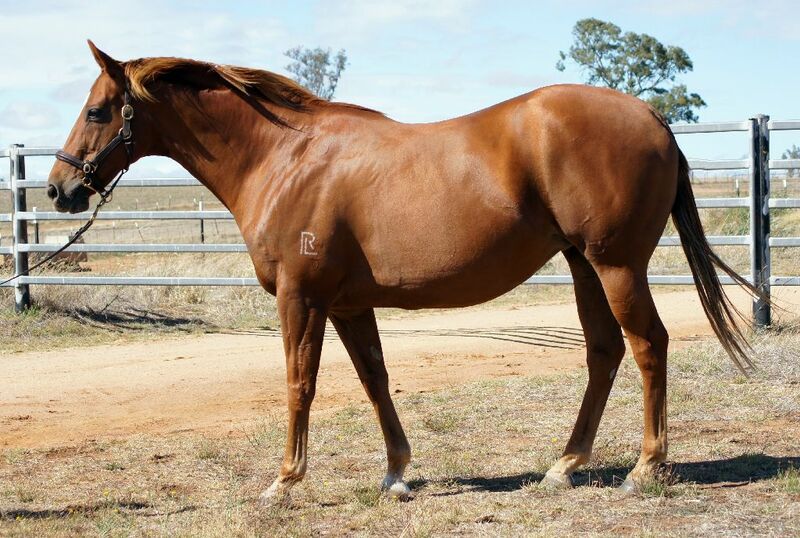 by Onemorenomore-Drivel, by Redoute's Choice-Tully Thunder). 2017-02-25 1st Yarra Valley RC B Marshall Bucks H.
Wu Gok (2013.g. 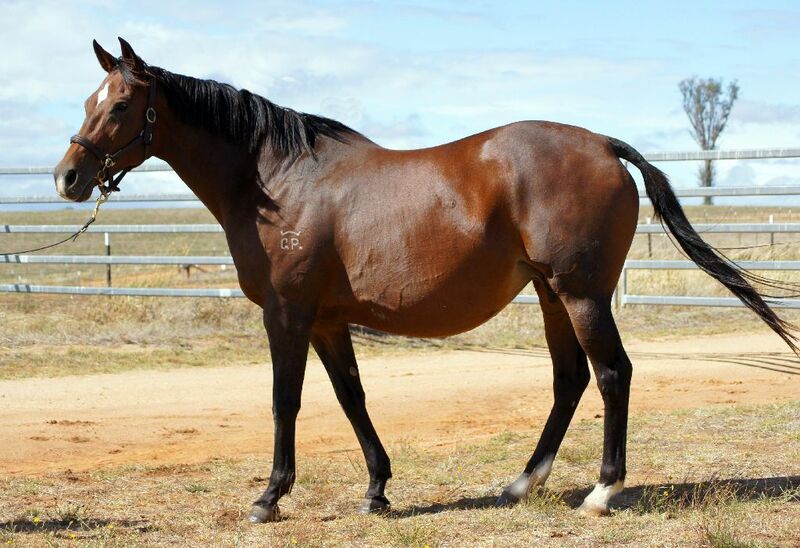 by Sebring-Lipari, by Redoute's Choice-Tully Thunder). 2017-02-25 1st Newcastle JC Knight Frank Real Estate P.
IRISH FLAME (2014.g. by Zed-Fleur de l'Orient, by Thunder Gulch-Fleur de Chine). Novative (2011.g. by Street Cry-Perfect Eight, by Octagonal-Shadea). 2017-03-08 1st BRC (Eagle Farm) Shane Scriven Maiden H.
Contented'n'happy (2013.c. by Foxwedge-Heigl, by Bel Esprit-Blond Rocket). 2017-03-11 2nd Macau Ningbo H.
Ustinov's Fury (2009.g. by Ustinov-Furia, by Thunder Gulch-Furama Nights). Sintara (2012.g. by Keano-Salerity Star, by Salieri-Necessity). 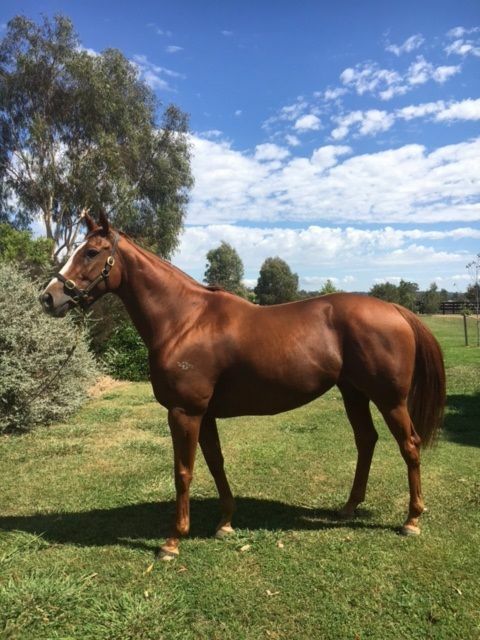 2017-03-03 1st Swan Hill JC Bottle O Maiden P.
2017-03-11 2nd Edenhope RC McDougall Family H.
2017-02-02 3rd Terang RC Bullarook Park Stud Maiden P.
Star Impulse (2009.f. by Clangalang-Salerity Star, by Salieri-Necessity). 2017-03-09 2nd Pakenham Produce H.
2017-02-16 3rd Pakenham RC XXXX Gold H.
Hieroglyphics (2011.f. by Conatus-Zefta, by Zeditave-Sally Lou). 2017-02-18 1st ATC (Rosehill) St Johns Park Bowling Club H.
Denmagic (2012.f. by Denman-Magic Zefta, by Viscount-Zefta). Snuggle Pot (2012.f. by Denman-Dollar d'Amour, by Peintre Celebre-Robin's Nest). 2017-03-07 2nd Lockyer RC Greg Elliott Memorial H.
Concisely (2013.f. by Fastnet Rock-Distinctly, by Sadler's Wells-Infamy). 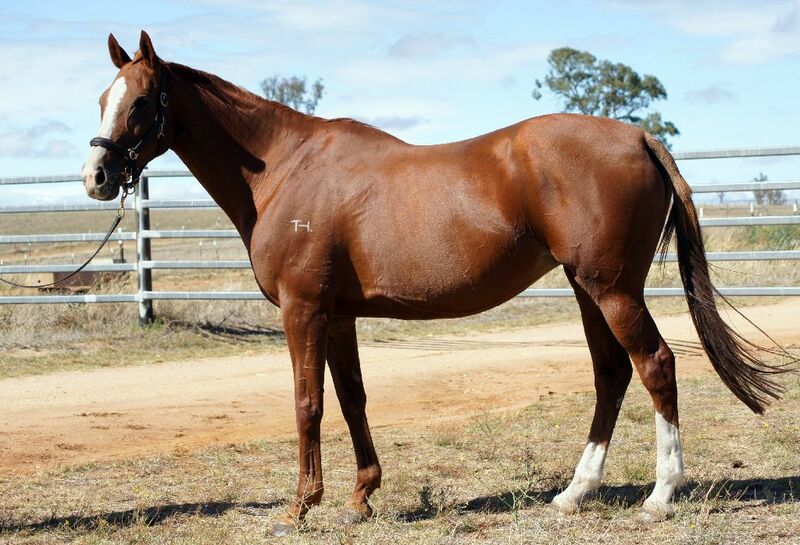 2017-02-21 1st Hawkesbury RC Harbord Beach Hotel 3YO Maiden P.
Topsy Turvy (2012.g. by Pivotal-Helter Helter, by Seeking the Gold-Moon Queen). Sweet Deal (2014.f. by Casino Prince-Dorothy Evelyn, by Royal Academy-Food of Love). 2017-02-18 1st Markopoulo Sokratis Maiden S.
2017-02-24 2nd Markopoulo Tilemahos S.
WICK POWELL (2014.c. by Sakhee's Secret-London Welsh, by Cape Cross-Croeso Cariad). 2017-03-10 1st Newcastle 32red Casino H.
EURO ANGEL (2012.f. by Rip Van Winkle-Polish Princess, by Polish Precedent-Repeat Warning). Bella Sonata (2012.f. by Silvano-Bella Cantata, by Singspiel-Bella Colora). Davor (2012.g. by Bernardini-Doojah, by Danewin-Nawadder). 2017-03-11 1st GCTC (GCTC) Seppelt H.
2017-02-17 3rd Ipswich TC (Ipswich) XXXX Summer H.
TEASPOON (2014.f. by Snitzel-Patronella, by Mister C-All Sterling). Eye the World (2009.g. by Encosta de Lago-World Peace, by Danehill-Light Up the World). 2017-02-19 3rd Port Lincoln Cup Prelude H.
Perilous Love (2013.f. by Love Conquers All-Perri Lou, by Danehill Dancer-Royal Aria). 2017-03-11 1st BRC (Doomben) Hiflow Industries High Fives! H.
2017-02-22 1st BRC (Eagle Farm) Hamilton Hotel H.
Penny Face (2012.f. by Krupt-Morethanapenny, by More Than Ready-Penny Opera). 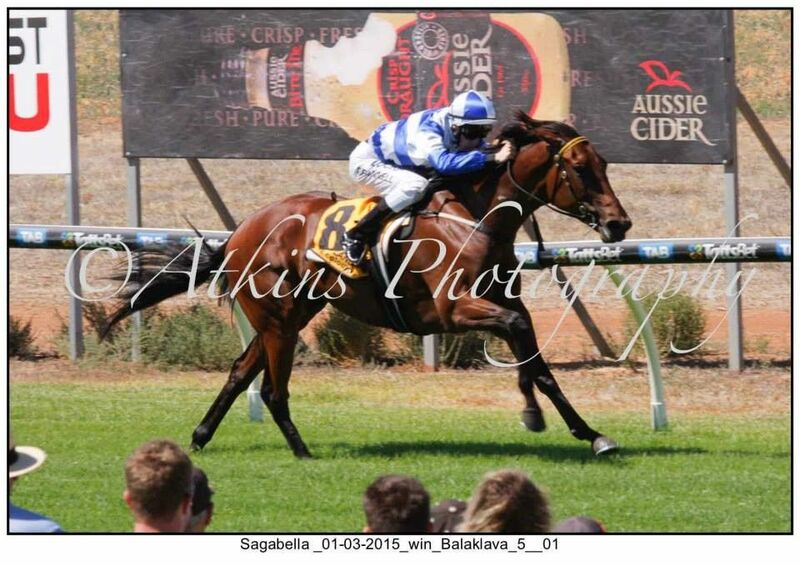 2017-02-19 3rd Alice Springs TC Imparja Members Day Maiden P.
Basic Strategy (2010.g. 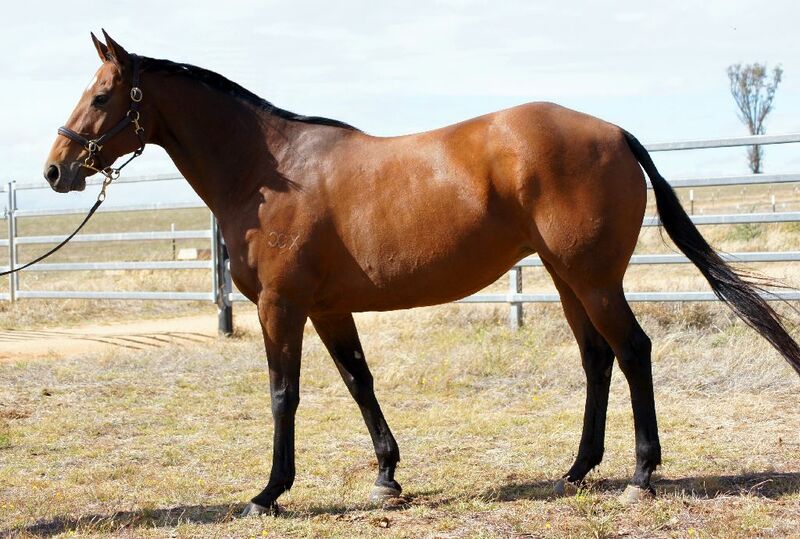 by Strategic-Spurtacular Lass, by Flying Spur-Starnet). 2017-02-24 1st SCTC (Sunshine Coast) Steve's Yard Clean Ups H.
DANCES ON STARS (2009.g. by Snitzel-Starnet, by Last Tycoon-Fancy Miss). MAN FROM UNCLE (2013.g. by Uncle Mo-Derelique, by Danehill Dancer-Hides). NORTHWEST PASSAGE (2013.g. by So You Think-Danevade, by Danehill-Subterfuge). SUMMER PASSAGE (2014.c. by Snitzel-Subsequent, by Encosta de Lago-Sequin). Saglawy (2014.c. by Youmzain-Spasha, by Shamardal-Spa). Barjeel (2013.g. 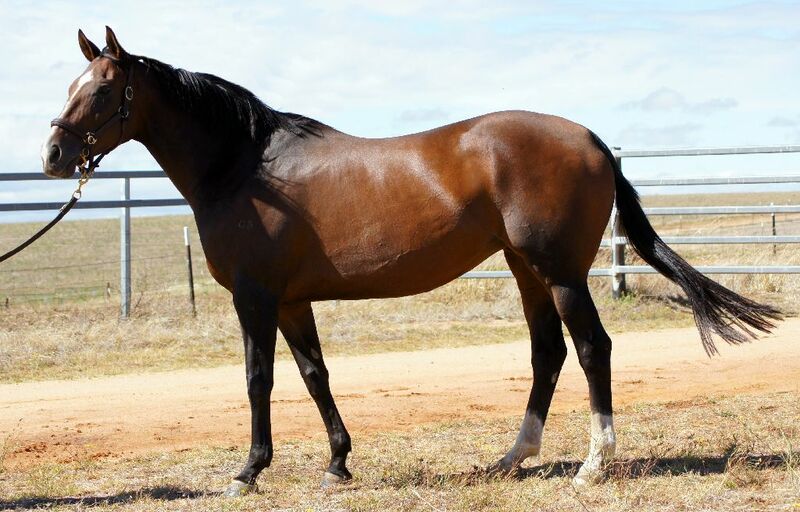 by Foxwedge-Te Akau Coup, by Thorn Park-Beyond the Sunset). 2017-02-18 3rd SAJC (Morphetteville) George Zervos H.
Spine Schiller (2010.g. by Artie Schiller-Partywave, by Hurricane Sky-Malibu Lights). 2017-03-11 1st Penong Hotel H.
Lucas (2013.g. by Phoenix Tower-Trinity Joy, by Vettori-Triple Joy). Trending Hard (2012.g. by Roman Emperor-Swissac, by Secret Savings-Curvaceous). 2017-03-12 1st Balnarring PRC Heritage Tavern Maiden P.
Laser Sight (2012.g. 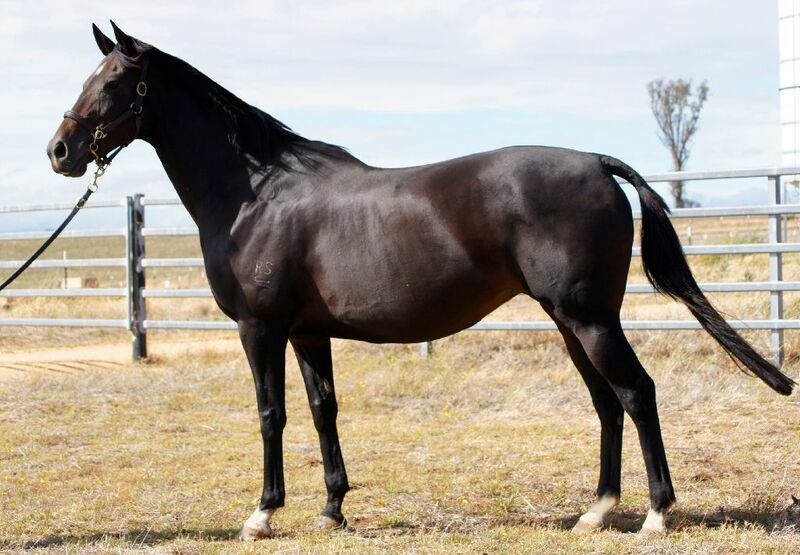 by High Chaparral-Infrared, by Spectrum-Red Dame). 2017-02-16 3rd Pakenham RC Evergreen Turf Maiden P.
Night Sight (2011.g. by Bianconi-Infrared, by Spectrum-Red Dame). 2017-03-15 3rd MRC (Sandown) Argyle Maintenance Maiden P.
Cheryl's Horse (2010.g. 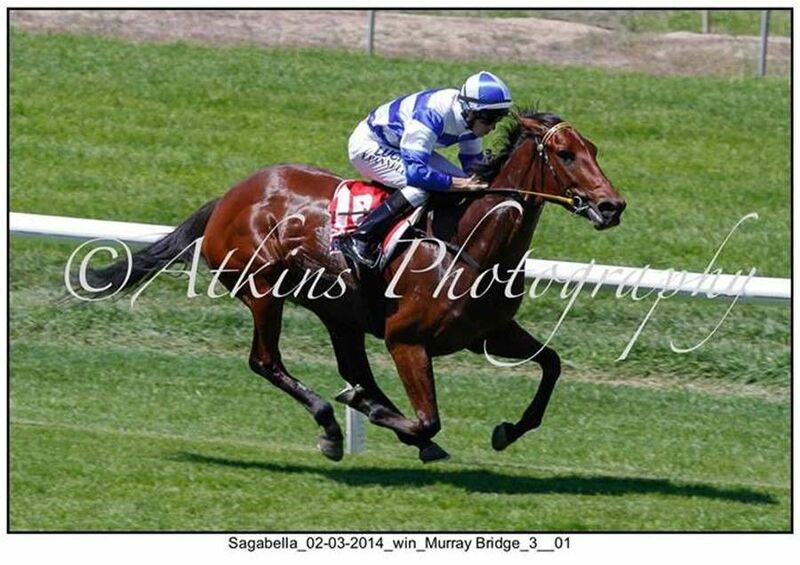 by Sebring-Mrs Petrov, by King's Best-Political Asylum). 2017-02-19 1st TTC (Launceston) Catering Supplies H.
Invincible (2013.g. by War Chant-Miss Belair, by Grand Lodge-Political Asylum). 2017-03-03 1st Macau Belo Horizonte H.
AROD (2011.c. by Teofilo-My Personal Space, by Rahy-Pattimech). Justification (2008.g. by Montjeu-Colorspin, by High Top-Reprocolor). PRIZED ICON (2013.c. by More Than Ready-Tropical Affair, by Danehill-Just as Lovely). Radioactive (2012.g. by Equiano-Mesh, by Canny Lad-Stockings). 2017-03-15 1st TTC (Launceston) Ismail Toker H.
Stage Diving (2012.g. by Shocking-Dance My Dance, by Sadler's Wells-Tis Juliet). 2017-02-23 3rd Wairoa RC Sunset Point Bar and Bistro Maiden S.
Fear Not (2011.f. by Ideal World-Koffiefontein, by Diesis-Kimberley Mine). 2017-02-24 1st Fairview Extrusion Port Elizabeth P.
Vandancer (2012.f. by Savabeel-Vanessatheundressa, by Carnegie-Voguessa).